When we talk about amino acids and proteins … meat, eggs, cheese and big muscles come to mind. But what are proteins and what is their role in the human body? Discover the best sources of amino acids and proteins to avoid taxing your kidneys and liver. Here is an easy-to-understand guide to amino acids and proteins. Along with carbohydrates, fats, water, vitamins and minerals, proteins are one of the 6 groups of essential nutrients for the human body. Proteins are large group of any nitrogenous organic compounds made up from one or more amino acids joined together in a chain. They are essential to all living organisms, acting as building blocks in for example muscle, hair, nails, skin and internal organs; facilitating chemical reactions in our cells; and fighting disease. When you consume protein, it is broken down in the gut to its amino acid or peptide components, before being transported in the blood to where they are needed. Amino acids are the building blocks of protein. Each protein is made up of a combination of up to 25 different amino acids, each serving its own purpose. There are 8 are essential amino acids (histidine, isoleucine, leucine, lysine, methionine, phenylalanine, threonine, tryptophan, and valine). From these, the other 17 amino acids can be made by the body. So non-essential doesn’t mean that we don’t need them: it just means that your body can manufacture them. For a protein food source to be complete, it must contain all eight essential amino acids. Proteins act as a structural components in the body for example in muscle, hair, nails, skin and the internal organs (the lungs, liver, kidneys, heart and intestines). Proteins are necessary for tissue repair and the building new tissues. Most enzymes are made from amino acids. Enzymes are catalysts in the body, which means that they make chemical reactions go faster, but are not changed by the reaction. Hormones are also made up largely of amino acids. Hormones are used to pass messages around the body instructing our organs and tissues how to do their job. 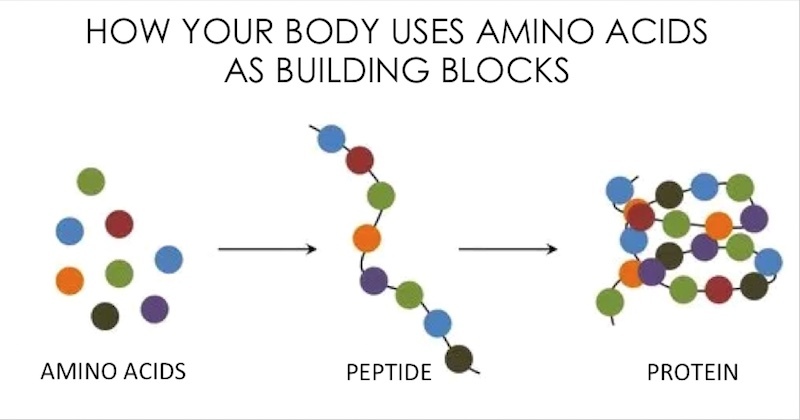 Amino acids are used to build antibodies, the “soldiers” in our immune system, essential for fighting disease and keeping us free from illness. How much protein you need depends on your body weight, your body fat and your physical activity. The DRI (Dietary Reference Intake) is 0.8 grams of protein per kilogram of body weight (0.36 grams per pound). This amounts to: 56 grams per day for the average sedentary man, 46 grams per day for the average woman. This must include a balance of each of the 8 essential amino acids. If physically active, undergoing some stress, sickness, pregnant, nursing mothers, and children – add up to 30 grams a day to this basic requirement. Some weight loss programs recommend very high protein diets of up to 200 grams of proteins a day. This is way too high and can be dangerous for health. Protein breakdown creates side-products that give extra work to the kidneys and liver. If your kidneys are healthy and protein intake moderate, then this poses no problem. But if you have even mild kidney trouble and eat large quantities of protein, especially from meat, this will stress your kidneys and worsen your condition. Meat protein is acid-forming in the body, creating an ideal environment for bacteria to breed and diseases to take a hold. Calcium (an alkalizing agent) is required to neutralize the pH in the blood, which can cause calcium imbalance and increase the risk of bone loss. Marked acid load to the kidneys also increases the risk for kidney stone formation. A common myth is that you should obtain 15% of your total calories from protein – but what kind of protein? 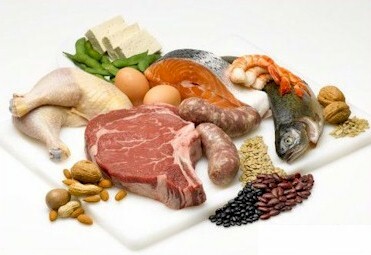 The best protein sources do not necessarily have the highest quantity: the quality of the protein is crucial. A breast-fed baby receives only about 1% of his total calories from his mother’s milk but can double his birth weight in a matter of months. This is because the protein in a mother’s milk is high quality and easily assimilated. On the other hand, animal products though high in protein, are also high in saturated fats and the protein is harder to assimilate. Moreover, modern farming methods leave much to be desired in the quality of the meat that is full of antibiotics, growth hormones and pesticides. A complete protein source contains all 8 essential amino acids. Though animal proteins are a complete protein source, they causes the blood to be acidic and thicken. Furthermore, some animal proteins are destroyed during cooking, rendering them less bio-available to the body and may become “waste” that remains in the body, causing health issues. Plant protein is incomplete but preferred over animal protein. Being incomplete means that you need to eat a variety in order to obtain all 8 essential amino acids. Some of the most complete plant protein sources are quinoa, avocado, spirulina and chlorella (more on these later). 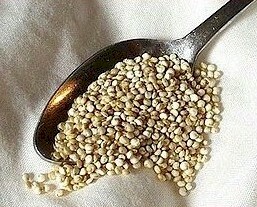 Quinoa (pronounced kee-nwa) is called the “mother grain” because of its near-perfection in natural food quality. Often classed as a grain, it is actually a seed that is rich in essential fats, vitamins and minerals. Don’t let the tiny seeds deceive you, its protein quality is unusually complete and far better than that of meat. 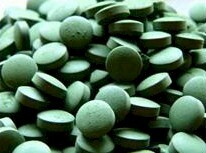 It is also an excellent source of calcium, iron, vitamins, B and E.
Spirulina and chlorella are single-celled algae that contain all 8 essential amino acids and are highly digestible, making them an ideal protein supplements. Not only are they high in protein, they are considered whole foods, rich in vitamin B12 that is often scarce in other plant foods. They are also rich in iron, a wide variety of vitamins and minerals, trace elements, essential fatty acids, phytonutrients and anti-oxidants. At least 10 grams a day is recommended to be taken either in tablet, powder or liquid form. For fighting disease, double or triple the dosage. You know you’re getting enough when your stools are green! Avocado is another source of complete protein. The nutritional benefits far outweigh the concern of its high calorie count. In fact, you will find that most people who eat avocados regularly are not fat. Avocados are also rich in vitamin B3 (niacin or folic acid), calcium, iron and potassium. Which Are The Essential And Non-Essential Amino Acids? Non-essential amino acids: Cystine, homocysteine, tyrosine, glycine, carnitine, glutathione, serine, aspartic acid, gamma-aminobutyric acid, glutamine, glutamic acid, arginine, alnine, proline, hydroxyproline. Essential amino acids: Trytophan, valine, leucine, isoleucine, methionine, phenylalanine, threonine, lysine. Semi-essential amino acids: Taurine, histidine.